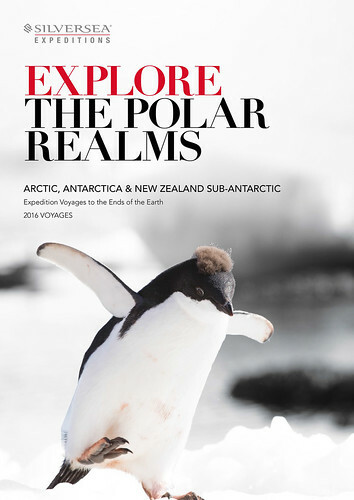 Silversea Expeditions is pleased to announce the release of its 2016 'Explore the Polar Realms' brochure showcasing luxury expedition voyages to the wondrous Arctic, Antarctic and New Zealand Sub-Antarctic. With 12 departures throughout 2016, guests can explore these awe-inspiring natural regions on a voyage of seven to 18 days aboard the intimate Silver Explorer or Silver Discoverer. 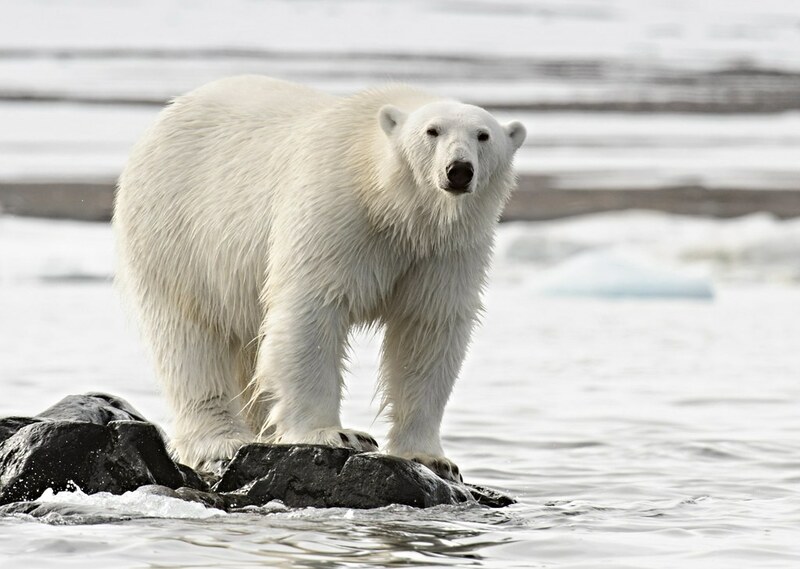 "Silversea Expeditions offer world explorers an incredible way to witness the untouched natural wonders of the remote Arctic, Antarctic and NZ Sub Antarctic regions. Our expedition voyages are meticulously designed to offer discerning guests access to the raw beauty and endemic wildlife of these remote wildernesses, while maintaining the truly superior quality, all-inclusive lifestyle that can be expected from any Silversea cruise." "With Silversea's expert expedition team of naturalists, historians and geologists, plus a selection of Zodiac and shore excursions, guests can delve deeper into these remote and stunning regions. Silver Discoverer and Silver Explorer, which has been purposely built to navigate the icy waters of the artic, afford guests the opportunity to explore majestic frontiers and encounter incredible wildlife, before returning to their exquisite ocean-view suite with butler service. The incredible shore excursions are matched only by the luxury onboard, which includes the warmth of a bubble bath or sauna, being greeted with a hot drink or meal when returning from remarkable adventures or lunch on deck surrounded by heaters with warm blankets to keep guests nice and cosy in the Artic." Highlights of Silversea Expeditions Polar expedition voyages include: navigating the icy and rugged landscapes of Svalbard; spotting Southern elephant seals and King Penguins on the stunning shores of South Georgia; embarking on Zodiac excursions around magnificent glaciers; experiencing the enormity of Prince Christian Sound, strolling through the lush rata trees and giant ferns of Campbell Island; and, encountering the mighty polar bear in its natural habitat. Photography excursions and professional lectures are also on offer for a range of interests including diving, birding and wildlife spotting. Onboard a Polar expedition voyage, guests may disembark the ship to board a Zodiac, cross icy waters and stroll across a huge iceberg, enjoy afternoon tea in the midst of giant ice fields, or even hike up ancient glaciers. The opportunities for adventure are astounding and endless. Silversea Expeditions' fares include: up to one hours free WiFi per day; all shore and Zodiac excursions hosted by an expedition leader; all-suite accommodation with butler service; gourmet meals with menus inspired by Relais & Châteaux; complimentary wines, Champagne and spirits served throughout the ship; an outstanding expedition team of expert guides and lecturers; and all gratuities. 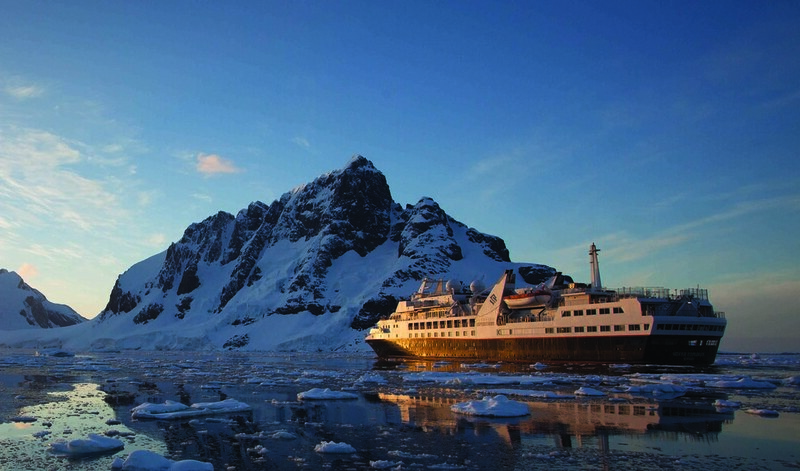 Copies of the new 2016 Silversea Expeditions ‘Explore the Polar Realms’ brochure are now available for order at www.tifs.com.au. For more information, contact Silversea Cruises on +61 2 9255 0600 or 1300 306 872 or visit www.silversea.com.